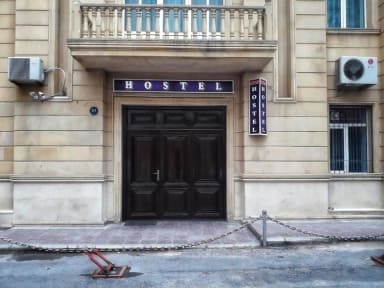 All rooms at Stop Hostel&Hotel are equipped with a flat-screen TV with cable channels, a kitchenette and a dining area. A seating area is included in guest rooms, while selected rooms are fitted with a Blu-ray player. At Stop Hostel, the rooms have a shared bathroom with free toiletries. With staff speaking Azerbaijani, English, French and Russian, around-the-clock advice is available at the reception. Popular points of interest near the accommodation include Maiden Tower, Shirvanshakhs' Palace and Muhammad Mosque. 1. Cancellation policy: 24 hours before arrival. 2. Check in from 12:00 to 00:00.